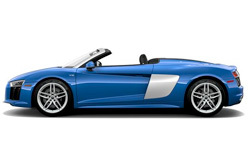 The 2018 Audi R8 Spyder from Audi San Diego in California, serving La Jolla and University City, turns heads with impeccable design and charms hearts with modern features and technology. You won't believe the power of the 5.2L FSI engine; with 540 horsepower at your beck and call, it's impossible to say no to the weekend joyride. Let down the acoustic folding top and inhale the fresh, outdoor air. Your fine Nappa leather seats cradle you in comfort while audio and infotainment features satisfy every desire. Maneuver your R8 Spyder with the three-spoke, sports steering wheel, and command your infotainment with the integrated voice control system. 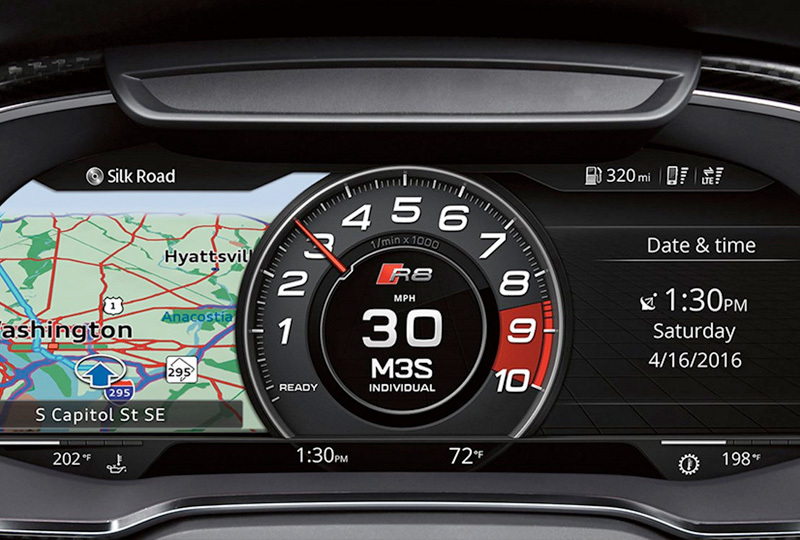 Engage with MMI touch, a handwriting-recognition technology that lets you write your entries rather than typing for the MMI navigation plus system. Bluetooth syncs to your smartphone for wireless calling and audio, and the Homelink universal transceiver ensures no garage or gate stands in your way. Hop in the driver's seat and push the ignition button to begin your exciting new adventure. Today is a great day to buy a new 2018 Audi R8 Spyder! We have a great 2018 inventory, so visit our showroom today at 9010 Miramar Road, San Diego, CA. We can't wait to put you in the 2018 Audi R8 Spyder of your dreams! 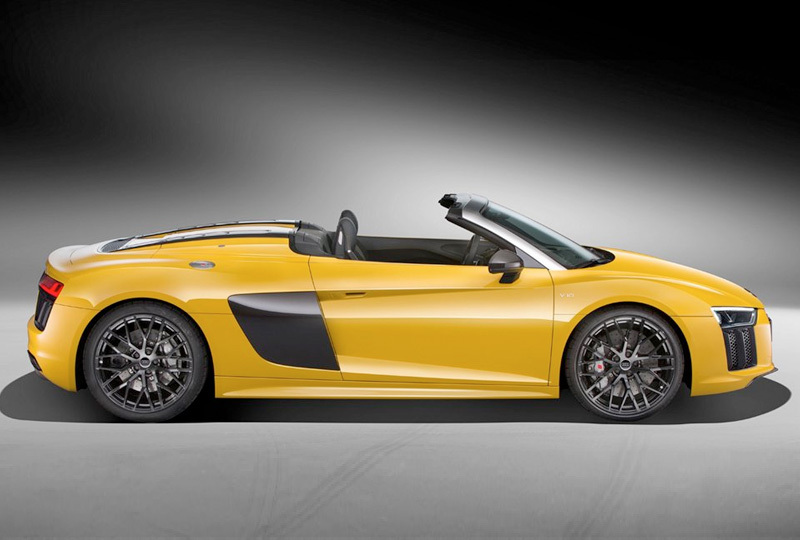 The look of the 2018 Audi R8 Spyder is unmistakable. A motorsport-inspired exterior captivates with full LED headlights, trapezoidal exhaust outlets and prominent wheel arches. 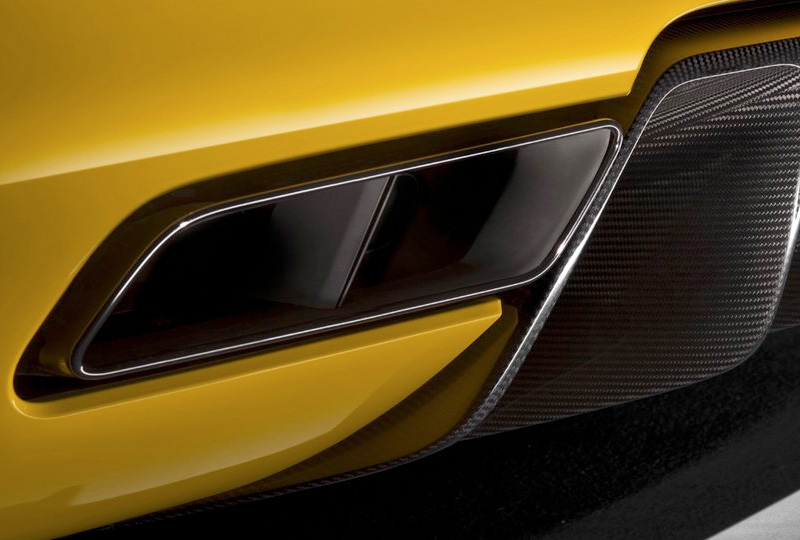 And form follows function ‐ the acoustic folding roof raises or lowers the roof in only 20 seconds at speeds of up to 31 mph, making it easier to drop the top while you're in motion. 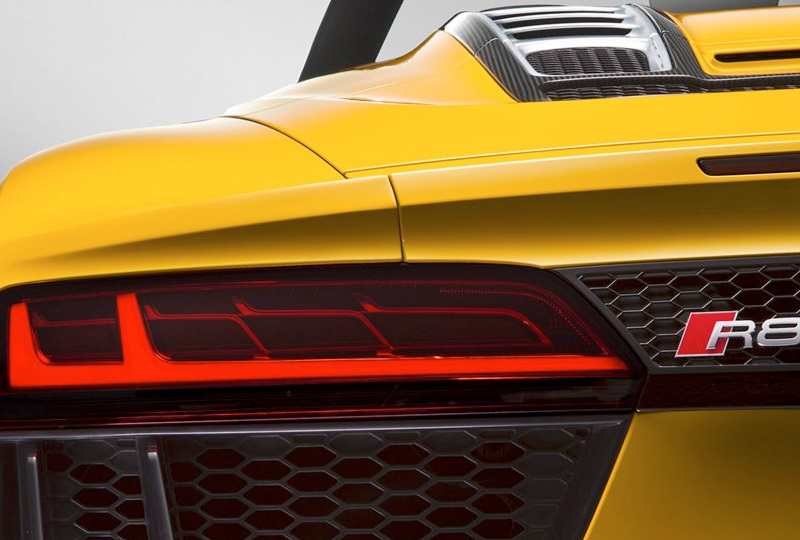 The main attraction of the 2018 R8 Spyder is the 5.2-liter V10 FSI® engine, which produces 540 horsepower and 398 lb-ft of torque, underscoring its motorsport heritage and supercar status. With the standard MMI® Navigation plus, you'll have access to Google EarthTM with 3D satellite imagery, so you will feel like you have the world at your fingertips ‐ and the power to navigate it.